This is a timid species that lives in couples and prefers temperate waters to tropical ones. 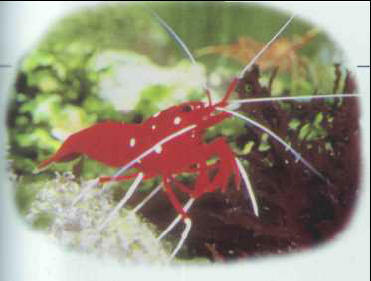 The red shrimp is still rarely found on the market, like other species of the same genus, such as Lysmata wurdemanni. The latter resembles the L. seticaudata, which is native to the Mediterranean and also to tropical regions, and is very popular in Europe. Size: 7-8 cm.